Crested Butte Mountain Resort offers some of the steepest resort skiing in North America. We love skiing the resort. But, we also love heading into the backcountry. 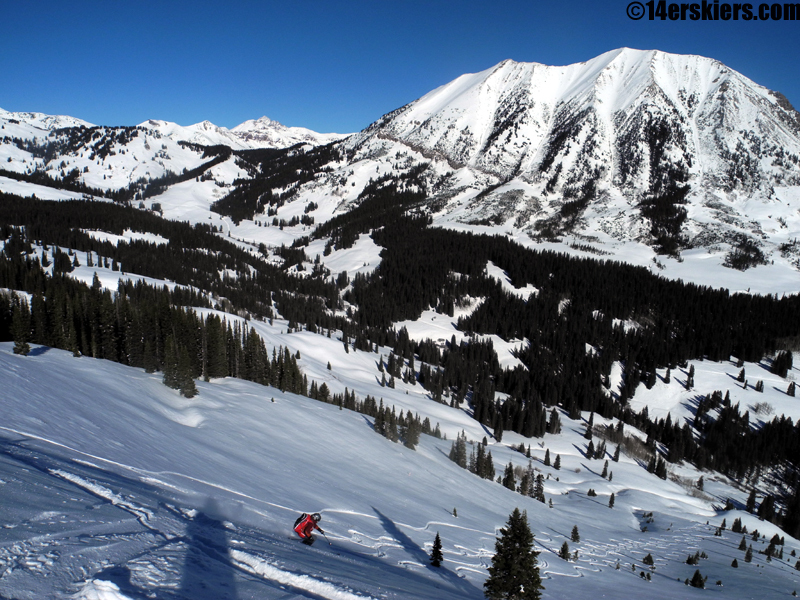 Backcountry Skiing in Crested Butte is nearly limitless. Whether you access the area by foot or with the aid of a snowmobile, there are plenty of lines to choose from. Additionally, many of the backcountry ski lines north and west of the resort can receive two to three times as much snow as the resort receives. 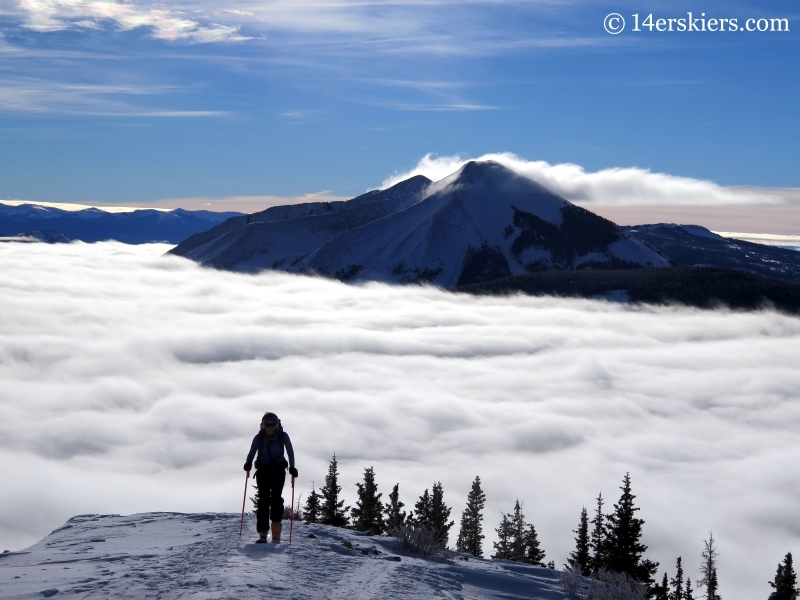 Just another reason why backcountry skiing in Crested Butte is amazing. Before heading into the backcountry, it’s important to have the proper knowledge and experience. Avalanche safety courses are a must as well as the proper avalanche gear. At a minimum, you should always carry a shovel, beacon, and probe – and know how to use them. Also, be educated on the avalanche forecasts and terrain before you head out. 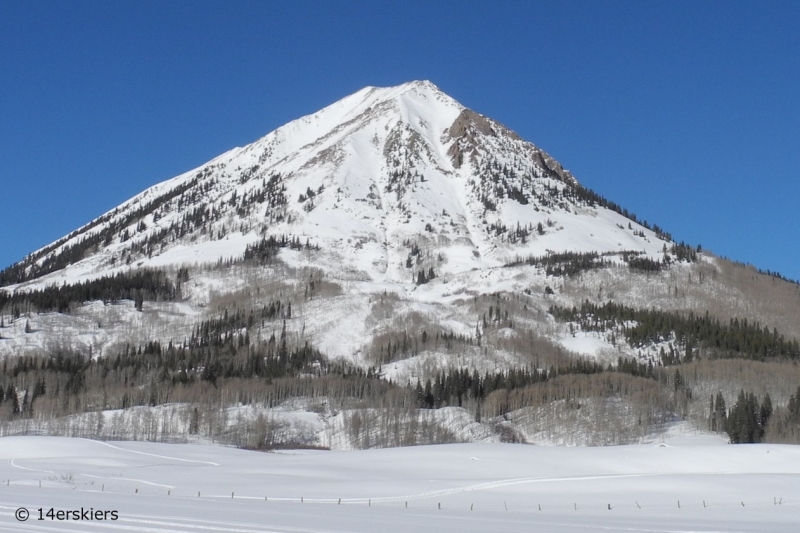 Crested Butte Avalanche Center – Find your avalanche forecasts here! Irwin Guides – Need to take an avalanche class? Need avalanche training? Want to hire a guide to take you to the good stuff? These are the guys! CBMG also has a range of skills courses – like an introductory course in backcountry skiing or splitboarding all the way to a class where you can perfect your ski mountaineering! 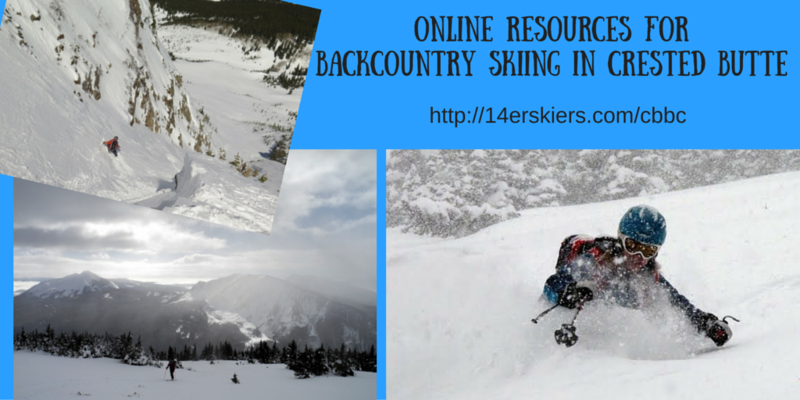 Backcountry skiing is typically accessed by foot (skinning, sometimes snowshoeing) or with the aid of a snowmobile. For lines closer to town, a snowmobile is not needed. But, many of our ski routes are accessed via dirt roads that are not plowed in the winter – perfect for a snowmobile. Renting snowmobiles is an option, although expensive. Never fear, if you don’t have a snowmobile, plenty of closer lines exist where one is not needed. Below is a list of some of the more accessible things to ski in the Crested Butte backcountry. Description: The area called “Anthracites” usually refers to the eastern end of the Anthracite Range. Most often, people ski the north and east-facing lines off of this area. 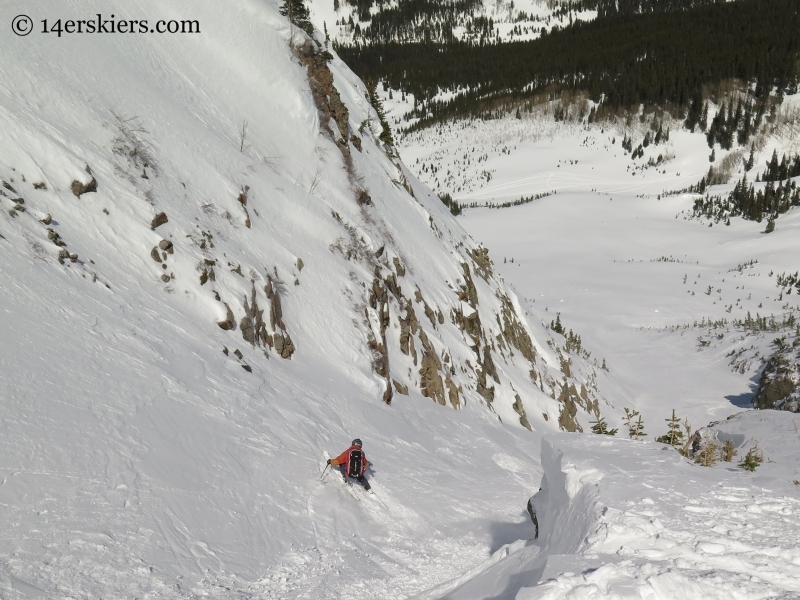 While Anthracites is great for advanced skiers with intermediate skinning skills, it is accessed by many in the Crested Butte area. Since the Anthracites are far up Kebler/Ohio Pass road, it is usually accessed via snowmobile. Description: Coney’s is a great place for north-facing lappable powder shots. It can take a bit to get there, but it’s usually worth the trek. Coney’s is best for those with intermediate skinning skills and advanced skiing skills, or higher. 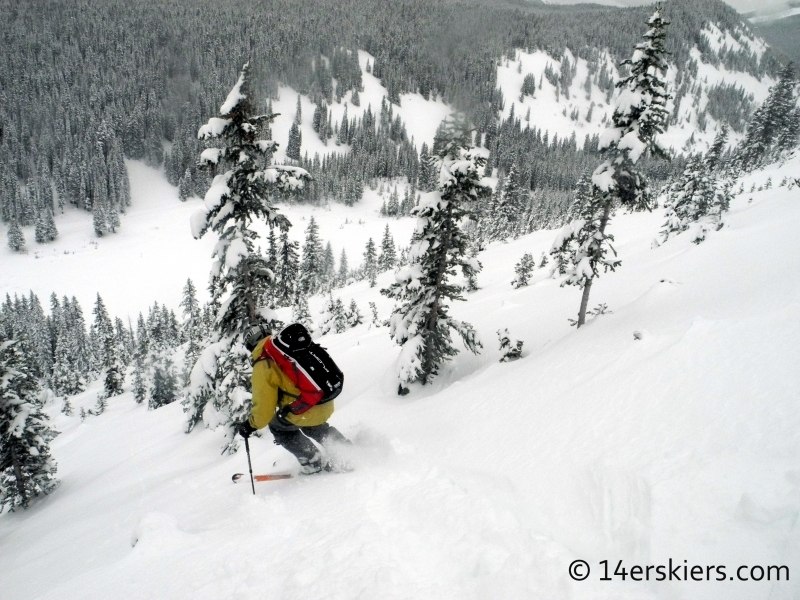 Description: Axtell is a great backcountry skiing zone. Most people ski the NE facing areas. Be warned that the first turns are especially steep. This area is intended for expert skiers only, and those experienced with slough-management. People not comfortable with very steep terrain and slough can easily be hurt here, or worse. Axtell requires intermediate skinning skills. Trailhead:Kebler Pass Rd winter closure; some people prefer to access some lines via the Slate River winter closure. 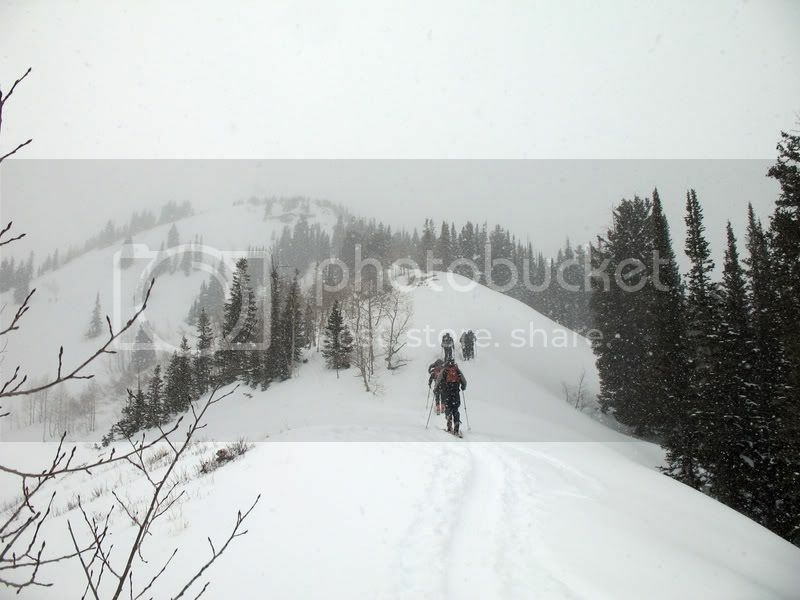 Description: Mount Emmons is a backcountry skier’s paradise. The most popular ski is the south-facing Red Lady Bowl. 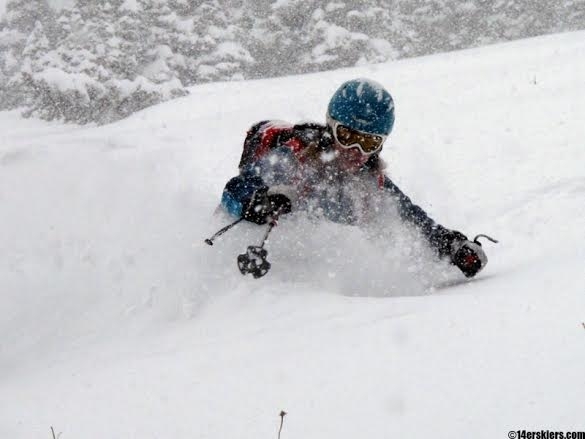 On powder days, a big favorite are the adjacent Red Lady Glades. Those seeking a steep line can head to Wolverine (NE-facing). The northern Redwell Basin is also fun, and is commonly done by setting up a shuttle. Whichever your choice, Mount Emmons is a 3,000+ ft joy to ski. Check out our post on Mount Emmons Backcountry Skiing Options! Description: Mount Gothic is probably the most iconic peak in the Crested Butte area. Skiers stare at it from the ski resort, and backcountry enthusiasts drool. Mount Gothic is a fun ski for much of the winter and into spring. The most popular line to ski is the south-facing Spoon. But, the west side and east side are fun as well. Mount Gothic requires advanced to expert skiing and basic ski mountaineering skills. And ice ax and/or crampons are recommended, especially in spring. Description: Schuylkill (“Schuy-” is pronounced “Skoo-“) Ridge is a popular ski. Most people ski the NE slopes and return via Slate River Road. Be careful of surprise cliffs and cross-loading in this area. Schuylkill Ridge is for advanced skiers and requires intermediate ascending skills. Be aware the the skin track is often very steep and can be slick, so good skinning skills may be required. Description: Most people ski the NE face of the peak down to the closed portion of Gothic Road. This area is for advanced skiers and requires intermediate ascending skills. You might find the answers you are looking for 🙂 You will also find a search bar in the navigation menu or on the right side bar.